Results for search "Smoking Cessation". Some parents may not consider vaping at home harmful to children. Low-risk kids who vape at higher risk to smoke traditional cigarettes. 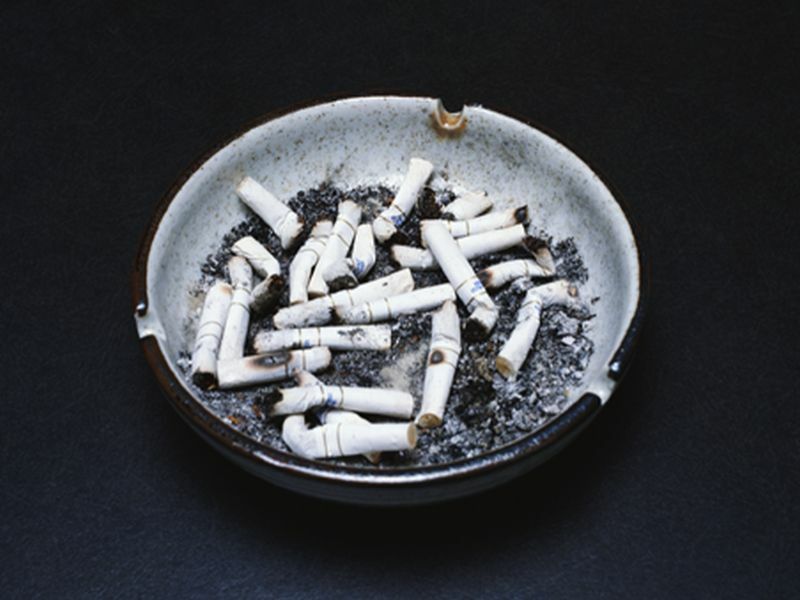 Millions of nonsmokers still exposed to secondhand smoke. 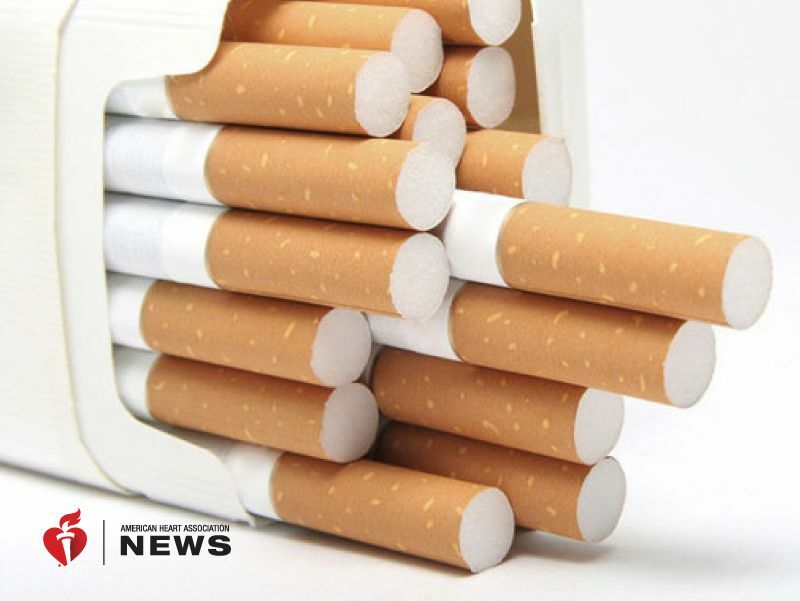 FRIDAY, April 19, 2019 (HealthDay News) -- Just a 1% decrease in the number of Medicaid recipients who smoke could save the insurance program billions of dollars a year, a new study suggests. Economic Status Health Costs Insurance: Medicaid Smoking Cessation Tobacco: Cigarette Smoking Tobacco: Misc. 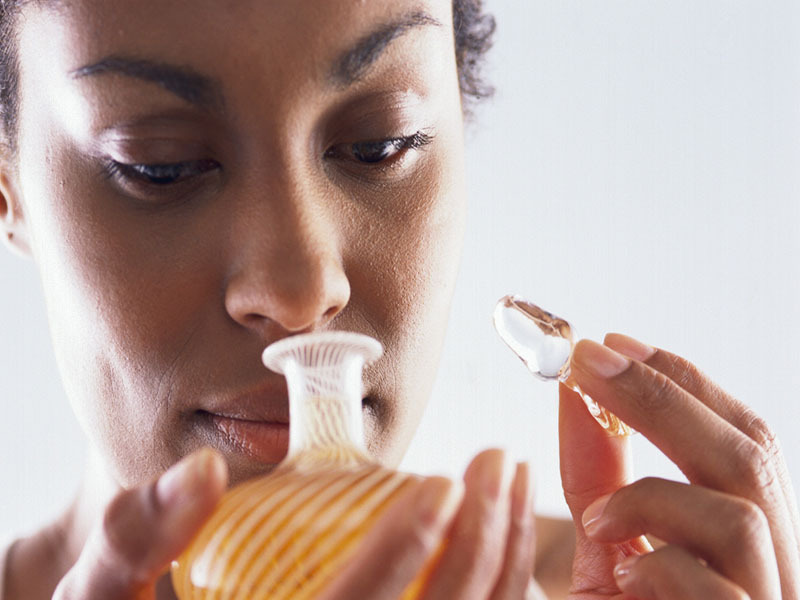 MONDAY, April 15, 2019 (HealthDay News) -- Could quitting tobacco involve something as simple as a pleasant scent? New research suggests it's possible. 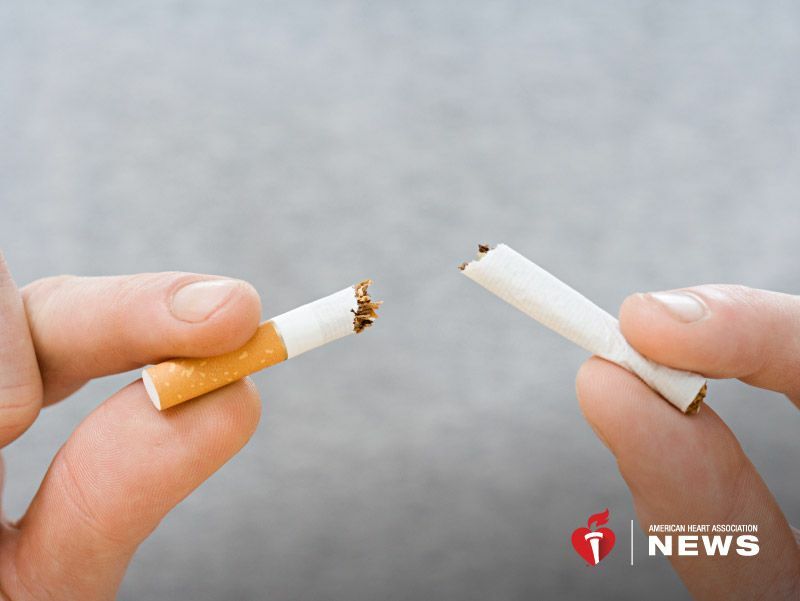 U.S. smoking rates have fallen over the past 50 years, but about 40 million Americans still smoke, according to the U.S. Centers for Disease Control and Prevention. Sensory Problems Smoking Cessation Therapy &, Procedures: Misc. Tobacco: Misc. 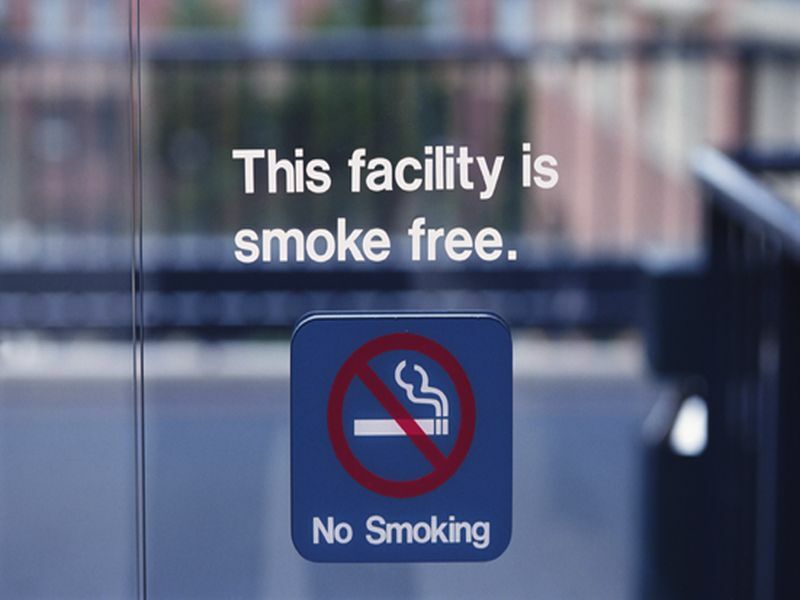 WEDNESDAY, April 3, 2019 (HealthDay News) -- Many Americans who want to quit smoking aren't sure how, the U.S. Food and Drug Administration says. Tobacco use is the nation's leading preventable cause of death, claiming more than 480,000 lives a year. 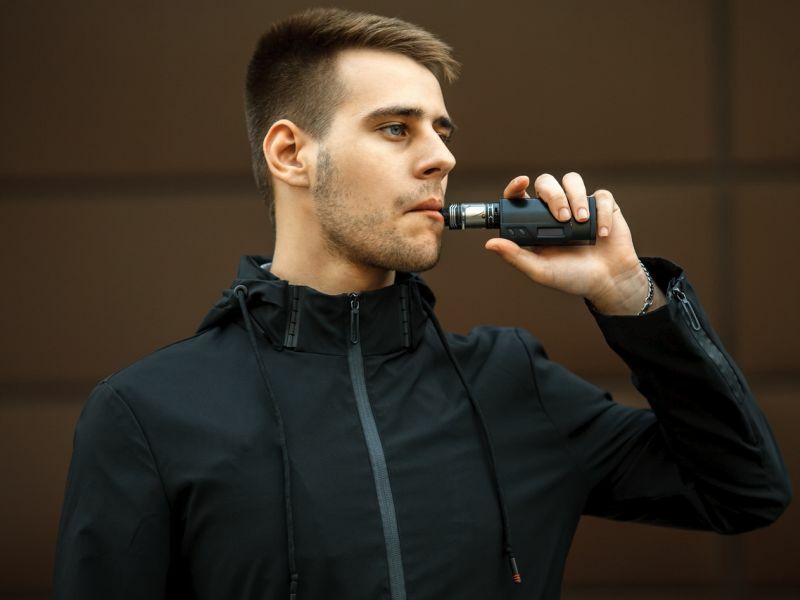 MONDAY, April 1, 2019 (HealthDay News) -- As electronic cigarettes took off, some worried they would lead teens back to traditional cigarettes. But new research suggests that's not the case. Vaping has done little to slow or reverse a two-decade decline in the popularity of regular cigarettes among youth, a British study suggests. FRIDAY, March 29, 2019 (HealthDay News) -- Amid growing concern about the safety of e-cigarettes, more American adults now believe vaping is just as dangerous as smoking cigarettes. Between 2012 and 2017, the number of people who considered e-cigarettes less harmful than tobacco cigarettes dropped significantly, according to an analysis of two surveys. Heart / Stroke-Related: Misc. Medical Myths Smoking Cessation Tobacco: Cigarette Smoking Tobacco: Misc. WEDNESDAY, March 13, 2019 (HealthDay News) -- Responding to the steep, recent rise in the use of addictive e-cigarettes among kids, the U.S. Food and Drug Administration on Wednesday announced it would go ahead with efforts to restrict sales of some types of flavored vaping products to minors. 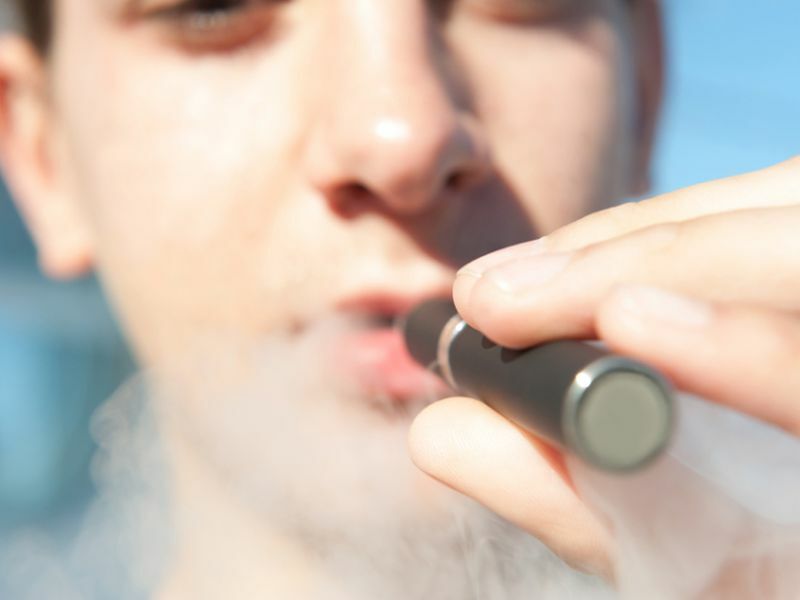 WEDNESDAY, March 13, 2019 (HealthDay News) -- Making sure electronic cigarettes don't get into the hands of youngsters is the key to beating tobacco use and nicotine addiction in the United States, a new American Heart Association policy statement says. MONDAY, March 11, 2019 (HealthDay News) -- Smoking during pregnancy is never a good idea, but new research shows it might double the risk of a baby dying from sudden infant death syndrome (SIDS). 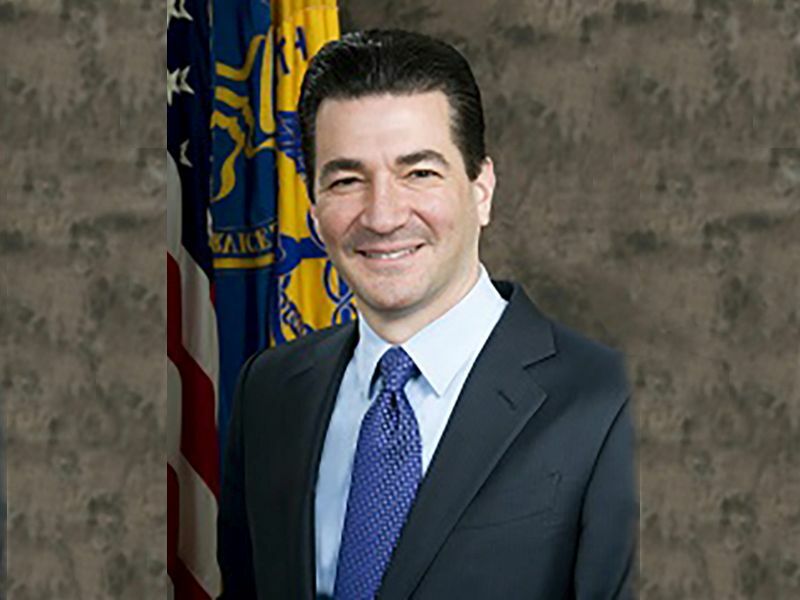 TUESDAY, March 5, 2019 (HealthDay News) -- In what probably came as a surprise to many, U.S. Food and Drug Administration Commissioner Dr. Scott Gottlieb announced his resignation on Tuesday. He'll end his two-year tenure aggressively heading the agency in a month, an administration official told the Washington Post. 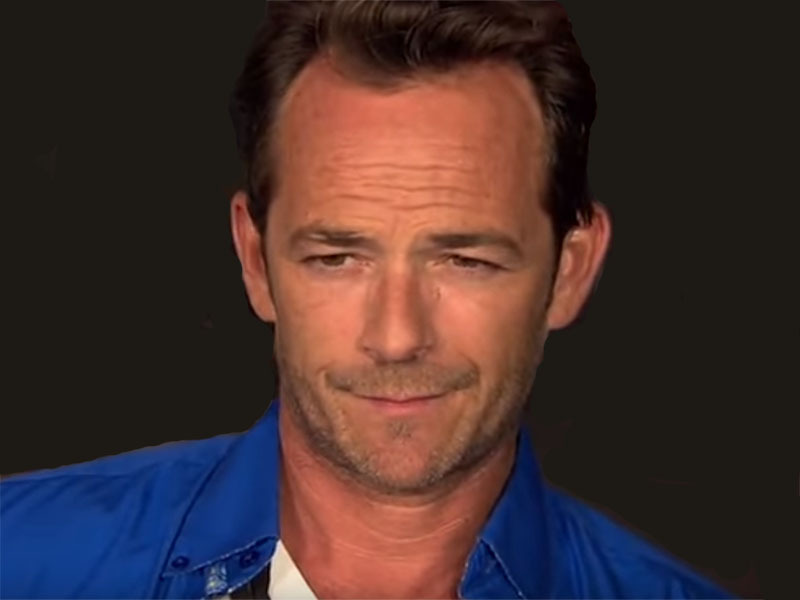 MONDAY, March 4, 2019 (HealthDay News) -- Actor Luke Perry, who shot to fame in the 1990s in the TV series "Beverly Hills, 90210," has died of a stroke at the age of 52. In a statement, Perry's family said he died Monday after a "massive stroke" suffered last Wednesday, the New York Times reported. 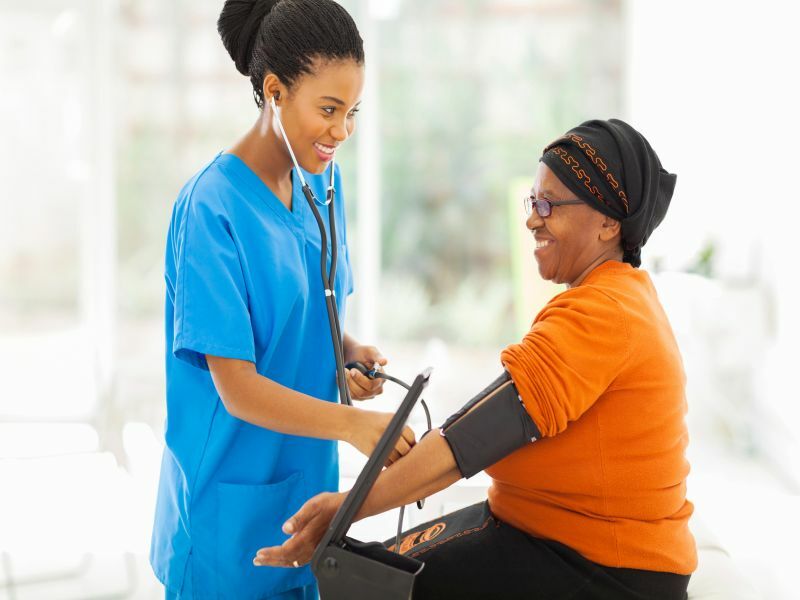 THURSDAY, Feb. 14, 2019 (HealthDay News) -- A new report from the American Cancer Society brings good news and bad news for black Americans. The number of black lives lost to cancer is falling, the report finds, and at a faster rate than observed among whites. That's helping to close a decades-long "race gap" in cancer deaths between blacks and whites. Addiction Cancer: Misc. Prescription Drugs Smoking Cessation Therapy &, Procedures: Misc. 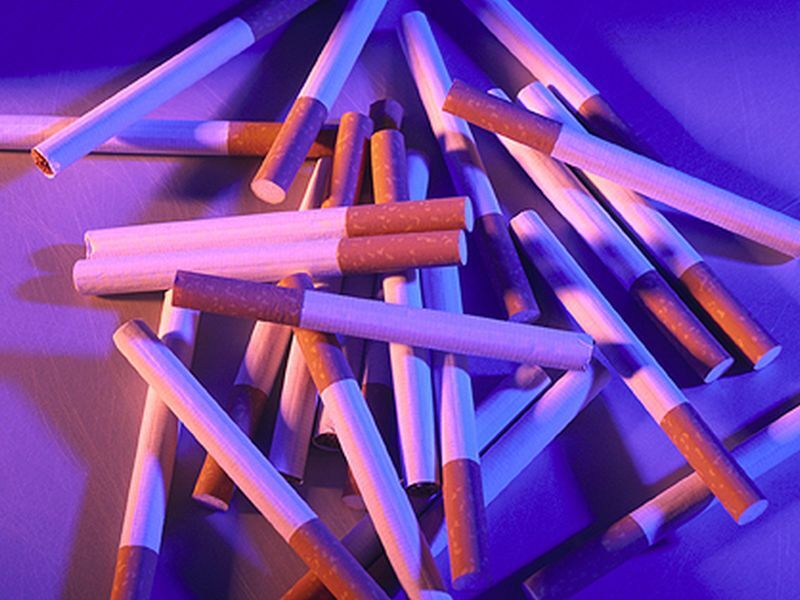 Tobacco: Cigarette Smoking Tobacco: Misc. MONDAY, Feb. 4, 2019 (HealthDay News) -- Many inmates in U.S. state prisons who want to quit smoking have nowhere to turn for help, a new study finds. That increases their risk of smoking-related diseases, including cancer, heart disease and stroke. THURSDAY, Jan. 31, 2019 (HealthDay News) -- E-cigarette use is surging among American teenagers, with millions of kids flirting with nicotine addiction by regularly vaping. Unfortunately, these kids are going to face a rocky road if they try to kick their nicotine habit, experts say. WEDNESDAY, Jan. 30, 2019 (HealthDay News) -- For those who want to kick their smoking habit, switching to electronic cigarettes may offer better odds of success than nicotine patches, lozenges or gum, new research suggests. 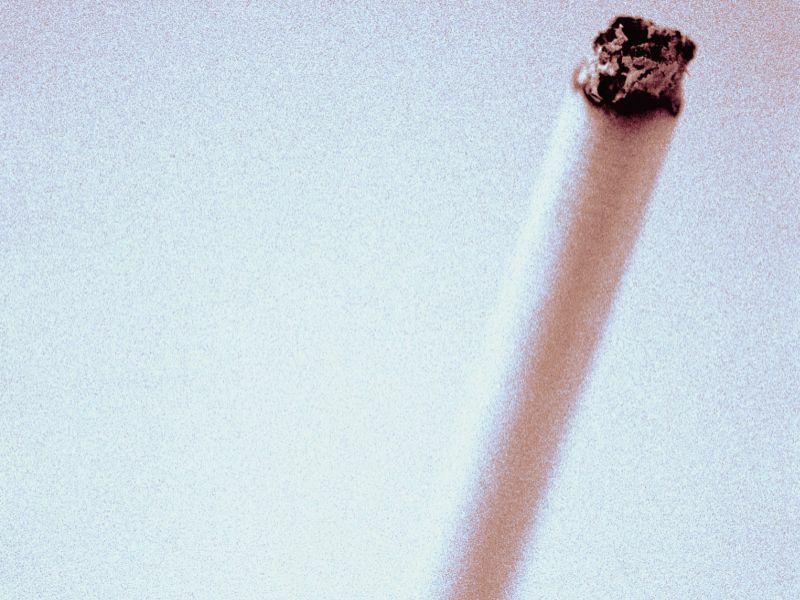 The finding follows a small year-long study that tracked about 120 British smokers enrolled in a National Health Service smoking cessation program. FRIDAY, Jan. 11, 2019 (HealthDay News) -- If one of your resolutions for 2019 is to improve your health, reducing your risk of cancer should be part of that goal, a cancer expert says. 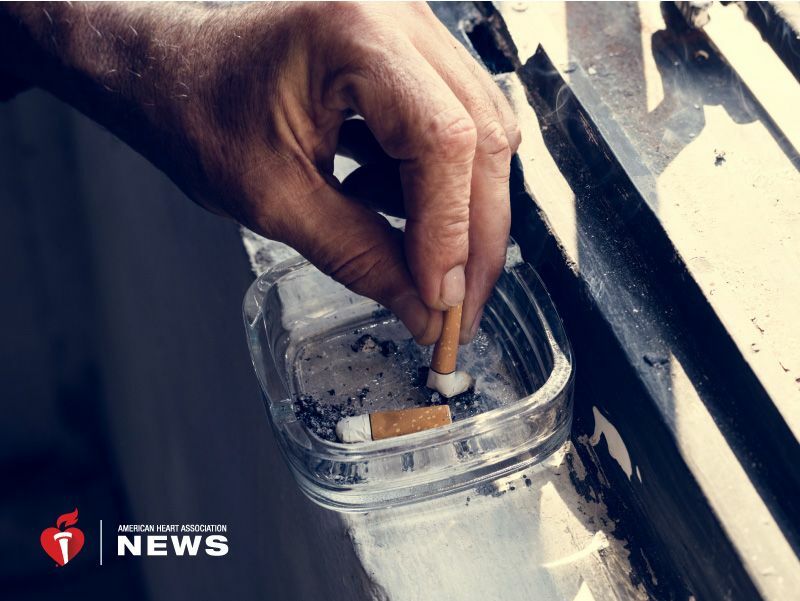 FRIDAY, Jan. 11, 2019 (HealthDay News) -- Quitting smoking is one of the hardest things to do, but studies have found that one strategy in particular can help many people: Start anti-smoking medication well before your intended quit date. THURSDAY, Dec. 6, 2018 (HealthDay News) -- Smokers who roll their own cigarettes are less likely to try to kick the habit and cost may be the reason why, a new study suggests. WEDNESDAY, Dec. 5, 2018 (American Heart Association) -- Nobody knows who first said, "To succeed, you first have to fail." But it's a phrase many smokers likely relate to. 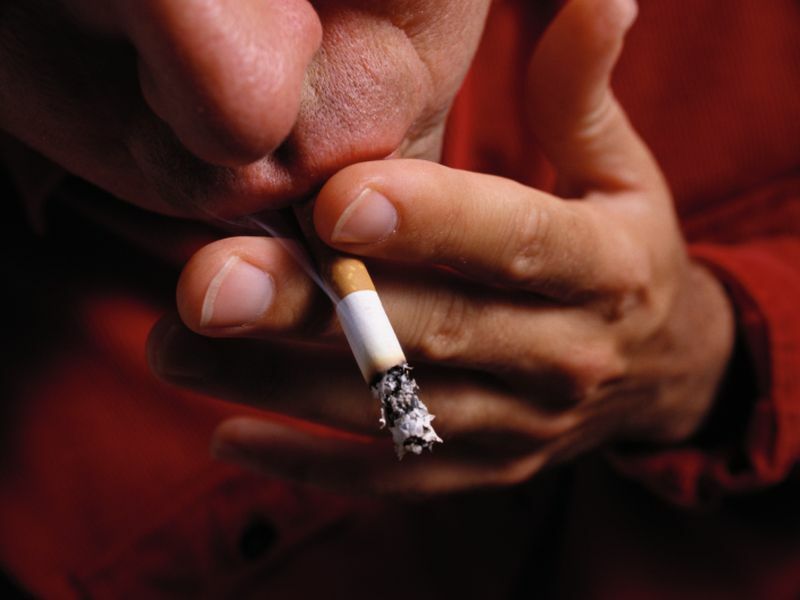 About half of all smokers try to quit each year, according to federal data. But only about 7 percent are successful. FRIDAY, Nov. 30, 2018 (HealthDay News) -- Smokers who switch to vaping can have the occasional cigarette without a complete relapse, new research suggests. The study included 40 people who quit smoking by using e-cigarettes (vaping). 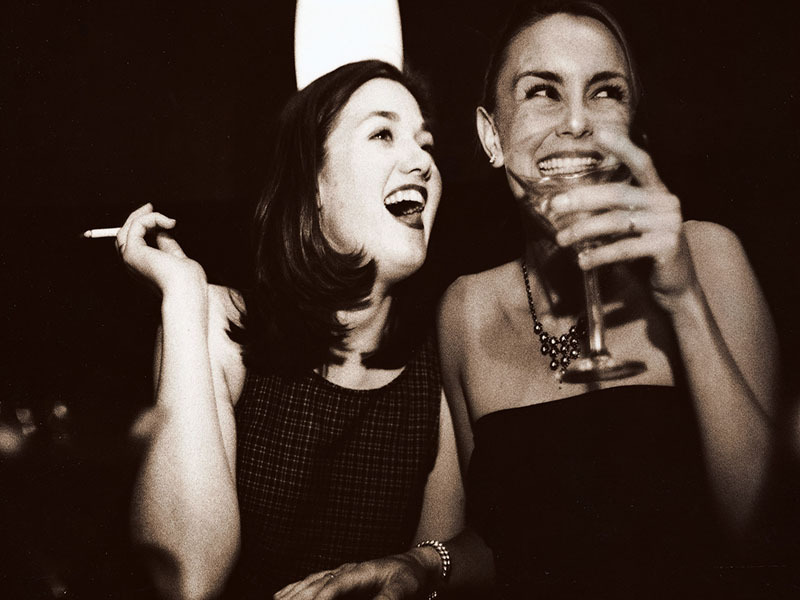 About half said they had either brief or regular tobacco smoking relapses, particularly in social situations. WEDNESDAY, Nov. 21, 2018 (HealthDay News) -- Smoking bans in public places might protect more than the lungs of nonsmokers, with new research suggesting a beneficial effect on blood pressure. TUESDAY, Nov. 20, 2018 (HealthDay News) -- The advent of the e-cigarette appears to have spurred a huge drop in tobacco smoking rates among teenagers and young adults, a new study claims. Previous research has argued that vaping could prove to be a gateway drug for smoking, by getting youngsters hooked on nicotine and used to the physical actions associated with smoking. THURSDAY, Nov. 15, 2018 (HealthDay News) -- The U.S. Food and Drug Administration said Thursday it will take steps to limit or ban access to flavored e-cigarettes, menthol cigarettes and flavored cigars. 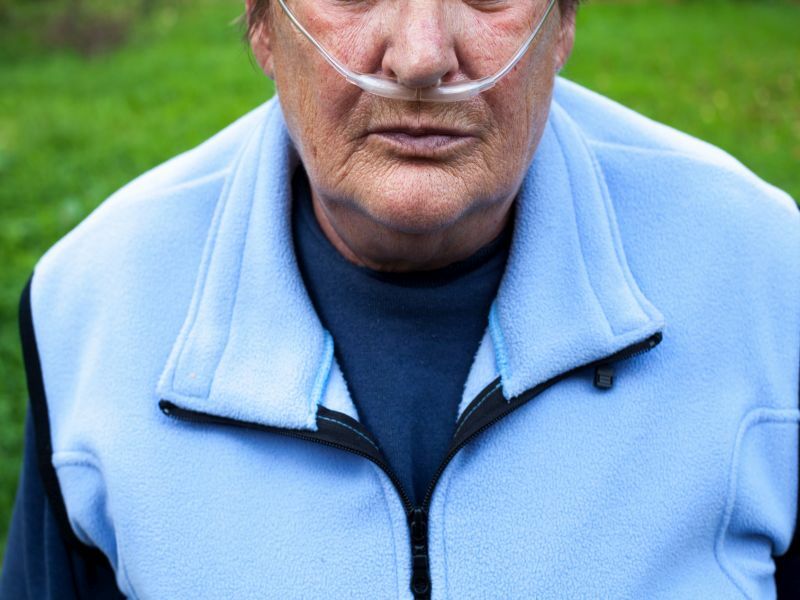 Why Are So Few COPD Patients Getting Vital Rehab Treatment? THURSDAY, Nov. 15, 2018 (HealthDay News) -- Chronic obstructive pulmonary disease (COPD) remains the fourth biggest killer in the United States. But only a fraction of the millions of people who could benefit from post-hospital rehab for COPD are doing so, new research shows. Smoking Cessation Therapy &, Procedures: Misc. TUESDAY, Nov. 13, 2018 (HealthDay News) -- Juul Labs, which commands 70 percent of the U.S. e-cigarette market, announced Tuesday that it would cease selling most flavored versions of its popular vaping pods in retail stores. The company said it would also terminate its social media productions related to the flavored products. 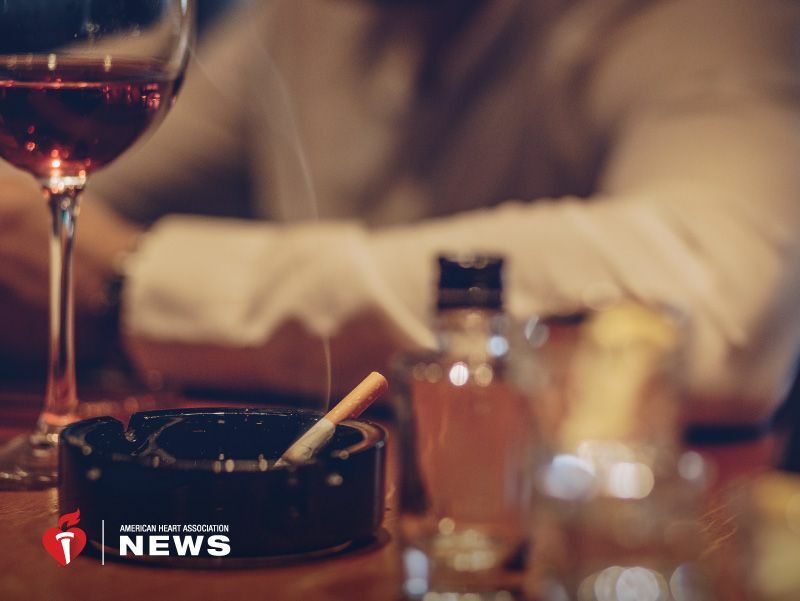 MONDAY, Nov. 12, 2018 (HealthDay News) -- Smoking and drinking often go hand-in-hand, stimulating pleasure centers in the brain. But there's even more to this unhealthy relationship than meets the eye. FRIDAY, Nov. 9, 2018 (HealthDay News) -- The U.S. Food and Drug Administration will soon announce a ban on sales of most flavored electronic cigarettes in retail stores and gas stations across the United States, according to media reports. THURSDAY, Nov. 8, 2018 (HealthDay News) -- Cigarette smoking rates have dropped to the lowest level ever recorded, U.S. health officials reported Thursday. Centers for Disease Control Smoking Cessation Tobacco: Cigarette Smoking Tobacco: Misc. THURSDAY, Nov. 8, 2018 (HealthDay News) -- While more Americans are quitting smoking, researchers find that people with mental health problems are much less likely to kick the habit. Smokers with mental health issues are only half as likely to quit as those with good mental health, the research team found. THURSDAY, Nov. 8, 2018 (HealthDay News) -- Smoking, diabetes, high blood pressure: all bad for the heart, but perhaps worse for women's hearts than men's, new research shows. 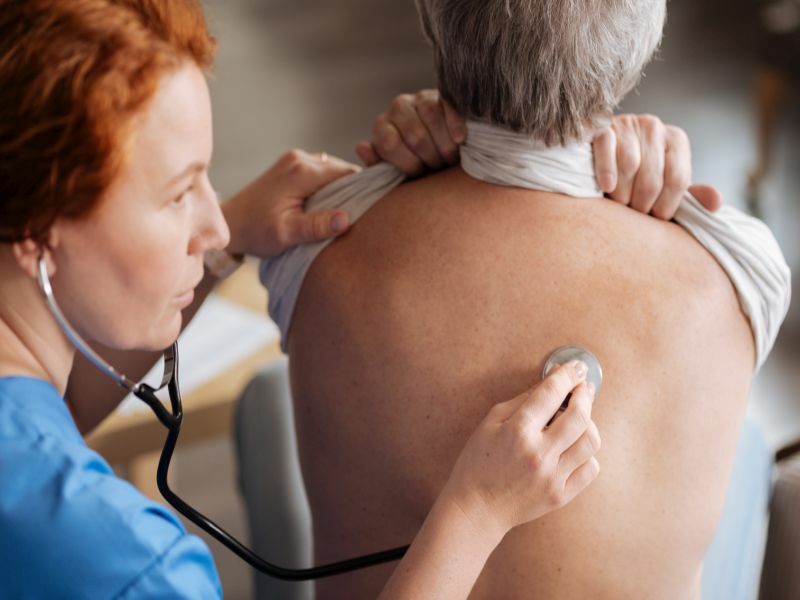 Looking at data on 472,000 Britons ages 40 to 69, researchers found that all three of these heart disease risk factors increased the odds of heart attack for both sexes. Diabetes: Misc. Heart / Stroke-Related: High Blood Pressure Heart Attack: Drugs Obesity Smoking Cessation Women's Problems: Misc. Heart / Stroke-Related: Stroke Heart / Stroke-Related: Heart Attack Smoking Cessation Tobacco: Cigarette Smoking Tobacco: Misc. MONDAY, Nov. 5, 2018 (HealthDay News) -- Over the past two decades, the percentage of U.S. women who say they've smoked or drank during a pregnancy has fallen, but the percentage who say they've used marijuana has nearly doubled, a new report finds. Alcohol Abuse Drug Abuse Pregnancy Smoking Cessation Women's Problems: Misc. TUESDAY, Oct. 30, 2018 (American Heart Association) -- When Rafe Poirrier smoked cigarettes, he smoked as soon as he woke, after eating, while driving, and whenever he took a break at work. "I think my favorite (part) was socializing -- hanging out with smokers outside an office building, at a bar or in a park," said Poirrier, 51, of Houston. Cancer: Lung Cancer: Misc. Smoking Cessation Tobacco: Misc. WEDNESDAY, Oct. 17, 2018 (HealthDay News) -- A ban on menthol cigarettes in one Canadian province did not trigger a rise in the sales of illegal cigarettes that was predicted by the tobacco industry, a new study shows. Smoking Cessation Tobacco: Cigarette Smoking Tobacco: Misc. WEDNESDAY, Oct. 17, 2018 (HealthDay News) -- Researchers say they've created an enzyme that might one day reduce nicotine cravings in smokers. 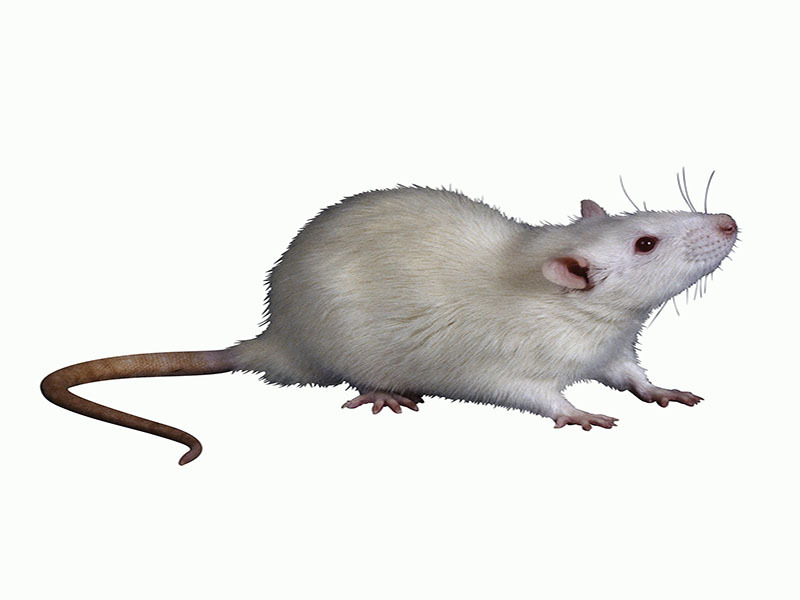 The scientists gave the enzyme to nicotine-dependent rats and found it broke down nicotine in the bloodstream before it could reach the brain. Addiction Research &, Development Smoking Cessation Therapy &, Procedures: Misc. WEDNESDAY, Oct. 17, 2018 (American Heart Association) -- The science behind why it's so difficult to quit smoking is crystal clear: Nicotine is addictive -- reportedly as addictive as cocaine or heroin. Yet any adult can stroll into a drug store and buy a pack of cigarettes, no questions asked. TUESDAY, Sept. 18, 2018 (HealthDay News) -- Thousands of Americans struggling with chronic obstructive pulmonary disease (COPD) may have a new treatment option to help them breathe easier. Clinical Trials Emphysema Nerve Disorders Smoking Cessation Therapy &, Procedures: Misc. THURSDAY, Sept. 13, 2018 (American Heart Association) -- Melvin Stubbs knows smoking cigarettes could give him heart disease, lung cancer or kill him. 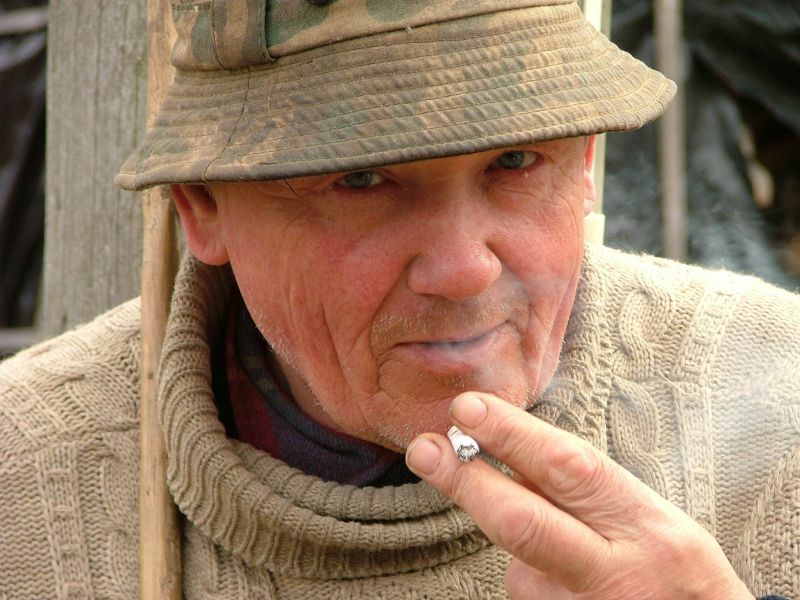 He said his habit hurts his wife and parents, who often urge him to quit. FRIDAY, Sept. 7, 2018 (American Heart Association) -- Nicotine replacement therapy appears to be a safe option for smokers hospitalized for heart disease, even for critically ill patients on their first day, according to a new study. Heart / Stroke-Related: Misc. Smoking Cessation Tobacco: Misc. THURSDAY, Sept. 6, 2018 (HealthDay News) -- Millions of Americans aren't taking simple steps that could ward off a potentially fatal heart attack or stroke, a new government report shows. 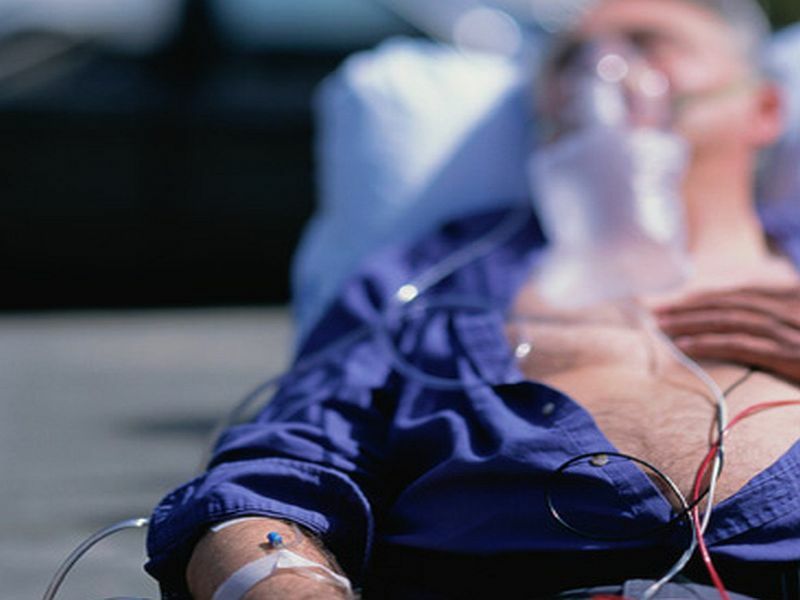 Heart attacks, strokes and other heart-related conditions caused 2.2 million hospitalizations in 2016, new research from the U.S. Centers for Disease Control and Prevention found. 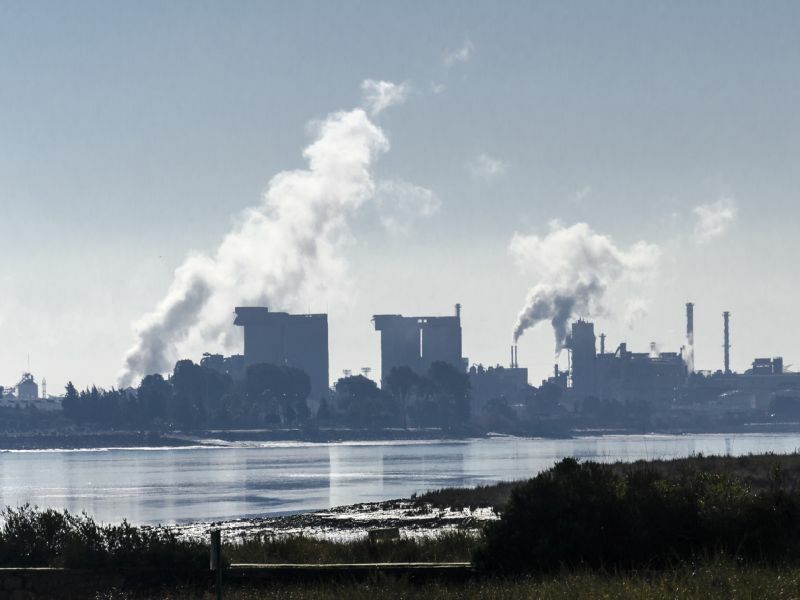 TUESDAY, Sept. 5, 2018 (HealthDay News) -- Even low levels of air pollution can pose a threat to the lungs of cigarette smokers, researchers say. They tested 29 nonsmokers, 71 smokers without lung disease, and 58 smokers with the lung condition chronic obstructive pulmonary disease (COPD). THURSDAY, Aug. 30, 2018 (American Heart Association) -- More and more Americans are putting out their cigarettes -- for good. Smoking Cessation Tobacco &, Kids Tobacco: Misc. TUESDAY, Aug. 28, 2018 (American Heart Association) -- John Jaramillo was a 45-year-old newly divorced single dad to 7-year-old Zeph. As if that weren't enough to deal with, he was also having excruciating pain in his jaw, neck and shoulder. Having used tobacco for 30 years, Jaramillo figured that was to blame. So in 2010, he kicked the habit -- cold turkey. FRIDAY, Aug. 24, 2018 (HealthDay News) -- People who puff electronic cigarettes every day have twice the risk of heart attack, and the odds increase almost fivefold for those who use them along with traditional cigarettes, a new study suggests. 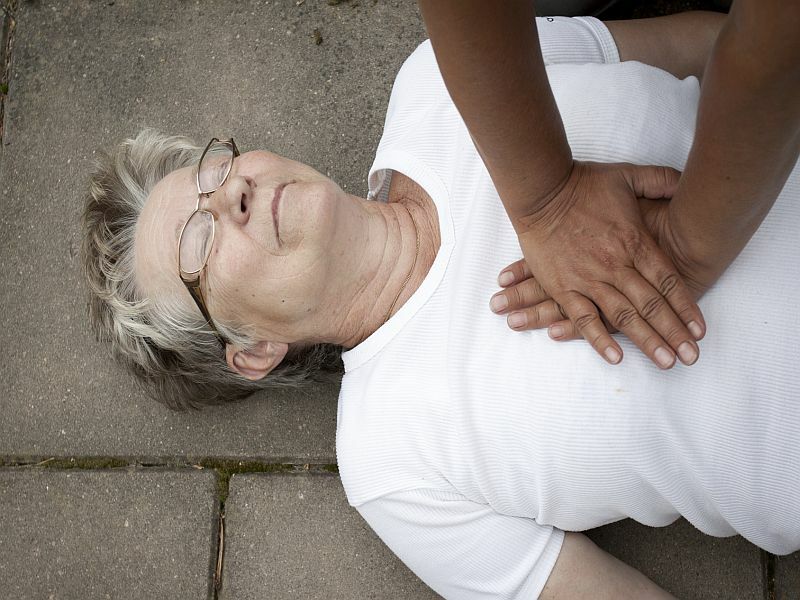 Heart / Stroke-Related: Heart Attack Heart / Stroke-Related: Misc. Heart Attack: Symptoms / Warning Signs / Risks Smoking Cessation Tobacco: Cigarette Smoking Tobacco: Misc. THURSDAY, Aug. 23, 2018 (HealthDay News) -- Potentially poisonous e-cigarette liquid made by 17 different manufacturers has been sold in packaging that strongly resembles that of candies, cookies and other snacks popular with kids. WEDNESDAY, Aug. 15, 2018 (HealthDay News) -- There's good news and bad news for smokers who worry about packing on extra pounds when they try to quit. In a new study, quitters who gained a lot of weight faced a higher short-term risk of developing type 2 diabetes, the researchers found. Diabetes: Misc. Diabetes: Type II Heart / Stroke-Related: Misc. Smoking Cessation Weight Gain Weight: Misc. TUESDAY, Aug. 7, 2018 (HealthDay News) -- New mothers who are exposed to secondhand smoke at home stop breast-feeding sooner than those in smoke-free households, researchers report. Breast-Feeding Environment Infant / Child Care Smoking Cessation Tobacco: Cigarette Smoking Tobacco: Misc. MONDAY, July 16, 2018 (HealthDay News) -- The more you smoke, the greater your chances of developing a common heart rhythm disorder that increases your risk of stroke and early death, researchers say. 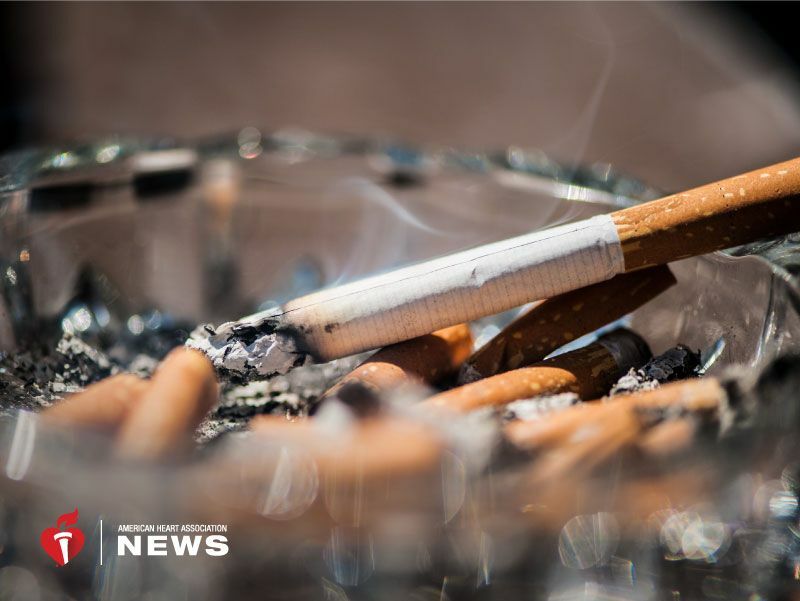 "If you smoke, stop smoking, and if you don't smoke, don't start," said study author Dagfinn Aune, a postdoctoral researcher at Imperial College London. Heart / Stroke-Related: Stroke Heart / Stroke-Related: Misc. Smoking Cessation Tobacco: Cigarette Smoking Tobacco: Misc. Addiction Digestion Smoking Cessation Tobacco: Cigarette Smoking Tobacco: Misc. Smoking Cessation Tobacco: Misc. Weight: Misc. Holistic Medicine Smoking Cessation Tobacco: Misc. Addiction Smoking Cessation Tobacco: Cigarette Smoking Tobacco: Misc. Cancer: Misc. Heart / Stroke-Related: Heart Attack Smoking Cessation Tobacco: Cigarette Smoking Tobacco: Misc. Addiction Cancer: Misc. Smoking Cessation Tobacco: Chewing Or Snuff Tobacco: Misc. Skin Care Skin Disorders: Misc. Smoking Cessation Tobacco: Cigarette Smoking Tobacco: Misc. 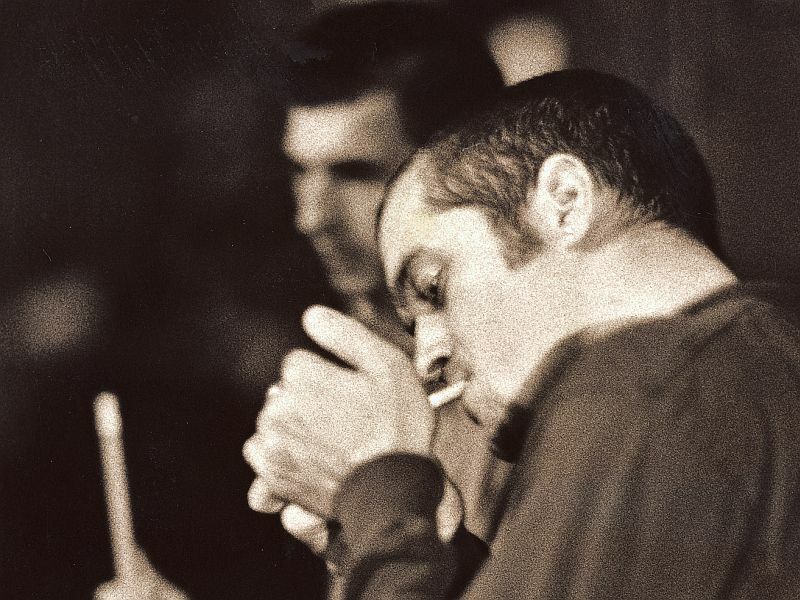 Addiction Smoking Cessation Tobacco: Cigar Smoking Tobacco: Misc. Addiction Cancer: Misc. Smoking Cessation Tobacco &, Kids Tobacco: Misc. Cancer: Misc. Smoking Cessation Tobacco: Cigarette Smoking Tobacco: Misc. Addiction Cancer: Misc. Heart / Stroke-Related: Misc. Safety &, Public Health: Misc. Smoking Cessation Tobacco &, Kids Tobacco: Cigar Smoking Tobacco: Cigarette Smoking Tobacco: Misc. Addiction Smoking Cessation Tobacco &, Kids Tobacco: Cigarette Smoking Tobacco: Misc. Cancer: Misc. Heart / Stroke-Related: Misc. Smoking Cessation Tobacco: Cigarette Smoking Tobacco: Misc. Women's Problems: Misc. Occupational Health Safety &, Public Health: Misc. Smoking Cessation Tobacco: Cigarette Smoking Tobacco: Misc. Heart / Stroke-Related: Misc. Smoking Cessation Tobacco: Cigarette Smoking Tobacco: Misc. 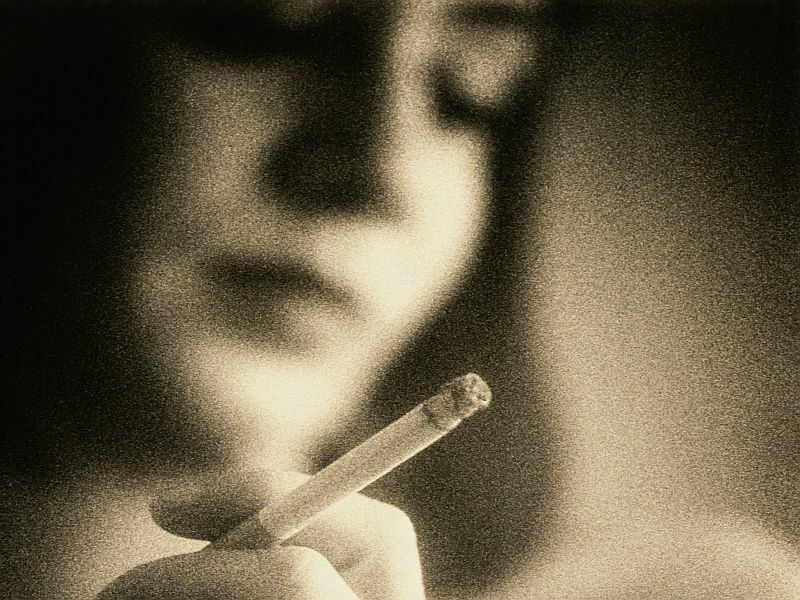 Quiz: How Do You Know About Smoking Complications? Asthma Smoking Cessation Tobacco: Cigarette Smoking Tobacco: Misc.